Nintendo has released a new trailer for the upcoming 3DS action adventure RPG Ever Oasis, introducing the Qarr Dunes and Bahar Hill fields. So draw a line in the sand and fight to protect it! As you explore the desert and solve puzzling dungeons, you’ll gather resources to build up your oasis with the water spirit Esna. Allies will join your cause, so equip them with weapons, and use their skills to slay towering bosses. 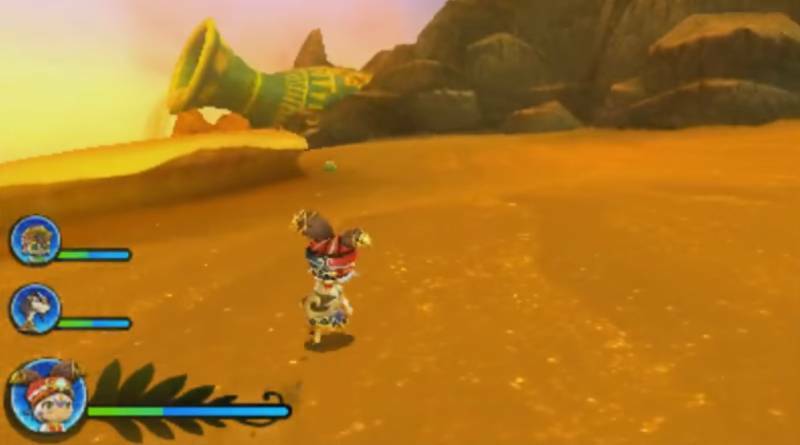 Ever Oasis is a new action-adventure RPG grown from the ground up by Koichi Ishii, creator of the Mana series and producer at Grezzo, the studio that rebuilt multiple The Legend of Zelda games for the Nintendo 3DS family of systems. Their team has crafted puzzles and traps too perilous for one hero to solve. So recruit a party of allies and level up their stats to learn new battle skills. Then return to your oasis and restore it: choose which shops to build, stock their inventories, collect a share of the profits, and keep villagers happy by fulfilling requests. Before long your oasis will blossom into a beacon of hope for all walks of life in the desert. Don’t let them down. Ever Oasis will be released for 3DS in North America and Europe on June 23, 2017 and in Japan on July 13, 2017.